Meade was in need of a fresh and new office space to promote social interaction within the workplace. 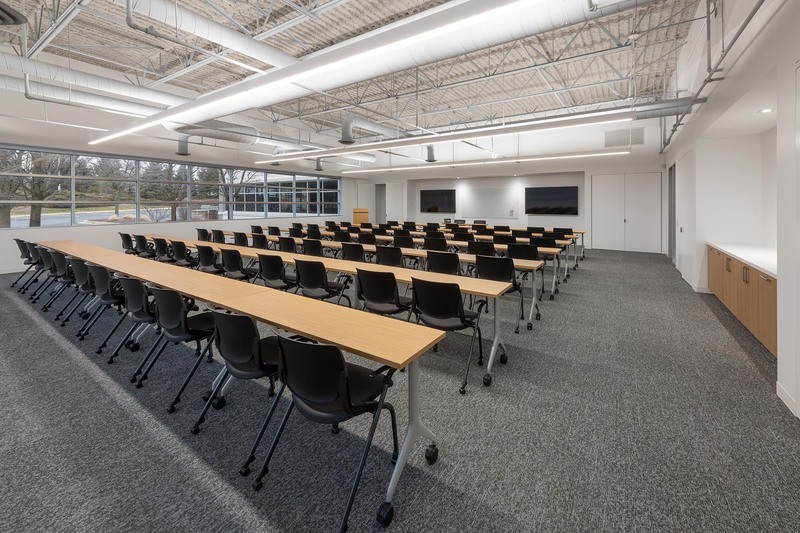 Wright Heerema Architects was able to meet this goal by including height adjustable work stations with lower cubicle walls. This improvement, along with a new cafe space and conference room brought together all Meade Employees. WHA was able to create a more connected community to promote teamwork and communication within the workplace. The new space allows to express clearly their mission statement. 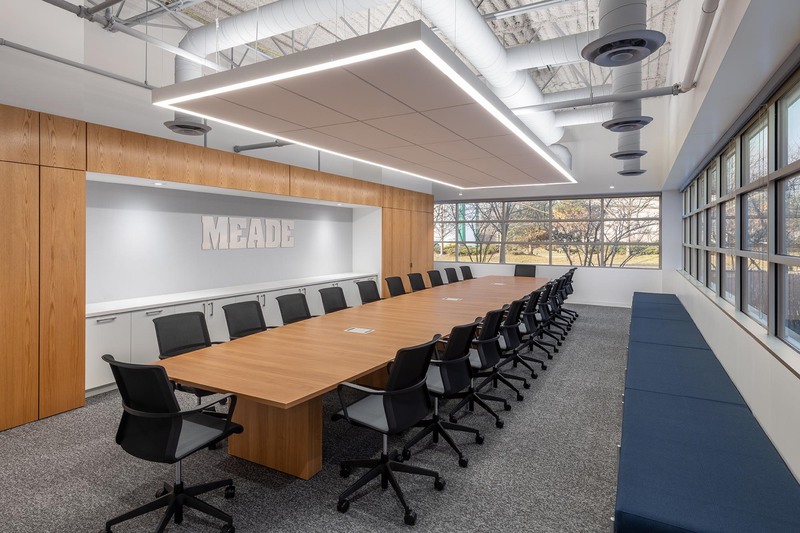 A once vacant office space was transformed into a large conference room branded with the Meade logo to reinforce the brand and support their wide range of meeting requirements. 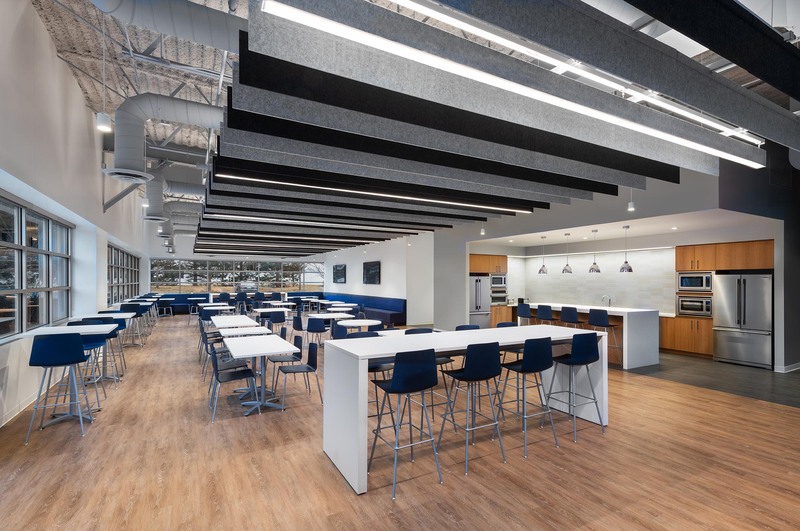 A brand new cafe is now a central gathering space for all Meade employees to socialize and enjoy easy access to the outdoors. With a variety of setting for any size group and natural light pouring in, this is the perfect spot for a lunch break. 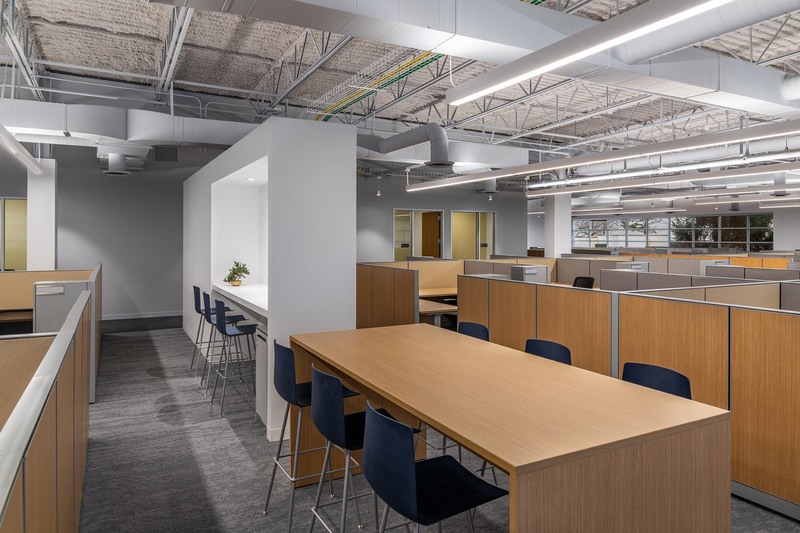 WHA was also able to work with Henricksen and CBRE Furniture Advisory Team to select private offices and workstations with lower cubicle walls to allow for an open office view complete with height adjustable work stations.